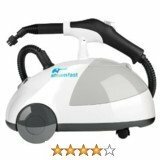 Euroflex steam cleaner reviews on this page are of steamer models made by an Italian company Euroflex commonly know for Monster steamers. 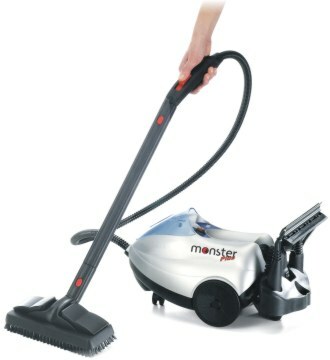 To avoid confusion Euroflex makes household appliances under the brand name Monster. 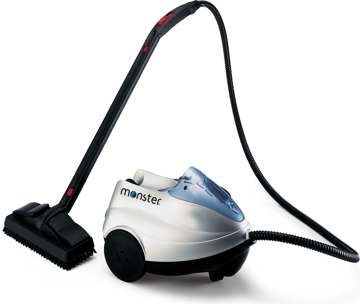 You may have a look at other Euroflex steam cleaners reviewed under the name Monster by going to this monster steam cleaner reviews page. Italian steam cleaners are known for being very hot and durable lasting longer than many brands manufactured in North America. This has made them generally popular and well sought after even in the United States. 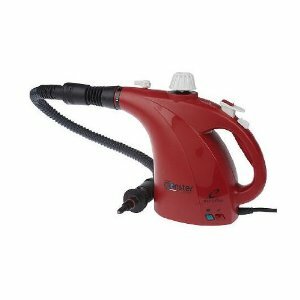 Euroflex steam cleaner models include both handheld steamers, canister type steamers as well as upright steamers. Most of the models are suitable for effective grout steam cleaning, for example, upholstery steaming as well as fabric steam cleaning. In as much as they are hot they cannot be considered altogether in the same category as the dry vapor steamers such as the ladybug steam cleaner. However, there are few specific models with high steam temperature that can be considered as vapor steamers. This is a unique steam cleaner from Euroflex. 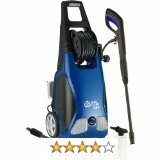 It has a wattage of 1450w which is extremely high for a steamer of its size. Other key things to note about this steamer is that it is a stainless steel boiler an indication of product longivity as well as high pressure steam and very hot too. The SC60 can reach steam temperatures of 266 degrees and operates under pressure of as much as 55 psi. It is by any standards a high pressure steam cleaner. What distinguishes it from the Ladybug steamer is that it does not have continous fill capabilities as well as the TANCS technology. It will need to be stopped for some 5 minutes realising pressure to cool down before refilling and waiting a further 6 minutes to heat up and continue steaming for up to 60 minutes on a full tank. It comes with a wide variety of attachments enabling it to do a variety of your home surfaces. We highly recommend this steamer selling at about $230.00 online. It enjoys average 4 stars out of 5 positive ratings. This Euroflex Monster SC60 Plus is a slight variation of the popular SC60 model reviewed above. It comes with more or less similar specs to the SC60 such as a stainless boiler, 1450w and high steam temperature with very low moisture levels. It also has a shoulder strap for easy carriage about whilst cleaning. It is light weight in design and very appealing to the eyes. The major difference compared with the SC60 is its onboard steam cleaner accessory storage on an onboard tool cuddy. This resolves the problem of how to manage all the attachments whilst heavily engaged in your cleaning projects. It has a steam dryness of between 94-96 per cent. This enables your floors to quickly dry up. This is a handheld steam cleaner from Euroflex which can do your upholstery, your fabrics and windows amongst a whole list of home chores using special attachments. It also has an extension hose that you can use to reach further in your steaming projects. It is a relatively hot handheld steamer at 1000w. Most handheld steam cleaners such as those from Bissell, McCulloch and Haan and even Shark often have lower wattage. It gives you up to 10 minutes of uninterupted steaming before you will need to do a water tank refill using ordinary tap water. However, this water musn't be hard tap water. This damages the steamer over time. The SC22 has a very slick design that is appealing and rather different compared to the usual tea-pot design associated with many handheld steam cleaners.